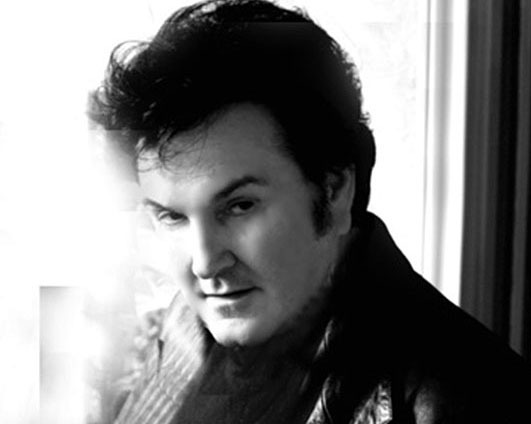 Known as Elvis Wade… Wade Cummins is a talented and gifted entertainer. He was born in the Watts Hill area of rural Tennessee, near the town of Mt. Pleasant. His father was a former moonshiner…and they didn’t have much money, although they were richly blessed with a musical form of folk art familiar in the south…the family circle..singing and playing music together. Between Wade’s mom and dad, they played 17 musical instruments. Wade was the youngest of 7 children and inherited their talents. Ironically, his first “professional” performances were not long after he, like many, saw Elvis Presley perform live on the “Ed Sullivan Show.” At only 9 years old, Wade would accompany his proud uncle to neighborhood taverns…and he would ‘mimic’ Presley for dimes and quarters from cheering customers and friends. Wade joined his first band playing rhythm guitar when he was 13 and soon became their lead singer playing the bass guitar. They became local favorites playing Hops; and at 16, Wade and the Nationals performed in top night clubs. Later, Wade performed with the show band Lafayette and Les Sabres and as lead singer with a powerful 4 octave range, did many vocal impressions on some hot cover tunes of Gene Pitney, Tom Jones, Buddy Holly, Roy Orbison, Gary Puckett, Frankie Valli, and of course…Elvis Presley. The show was soon transformed to focus on the Elvis Presley image, much to the delight of many loving audiences. He’s been performing for Elvis fans ever since. Presley himself saw the show in 1976 and gave Wade a standing ovation… One of only two such ovations ever reported seen by Presley staffers.